NOTE :This guide have possibility to brick your device please make sure you have a backup before following the guide. TWRP v2.6.30 ROW this contains TWRP Recovery image and android scatter file for Lenovo S650. TWRP v2.6.30 CN Contains CN based TWRP recovery image and Android Scatter File. USB VCOM Drivers Install these drivers on your computer, Turn off your device and remove the battery, using USB cable connect your device while look at My Computer ↦ Manage ↦ Device Manager there will be MTK65xx Preloader Devices will show up for 5 second and then it’ll disappear, before it disappears, Right click on it and select Update Driver Software, browse to USB VCOM Driver extracted folder. When it is finished, reconnect and it will show Mediatek PreLoader USB VCOM Port in your device manager. Before doing anything, download all the required files needed, make sure the USB VCOM drivers are completely installed on your pc. Move/copy SuperSU.zip to your external Micro SD Card. Extract TWRP v2.6.30 ROW (or CN) in a folder. You’ll see 3 files, in which 1) MT6582_Android_scatter.txt 2) recovery.img are important one’s. 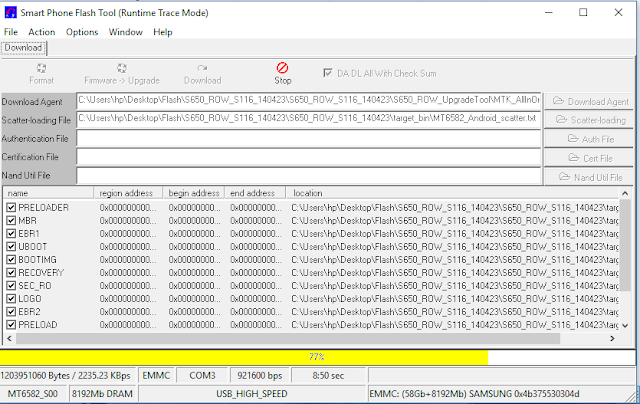 Extract SP Flash Tool v5.1352. In SP Flash Tool Folder, Run Flash_Tool.exe if you are using windows 7 or above, please run it with administrator privilege, VERY IMPORTANT! 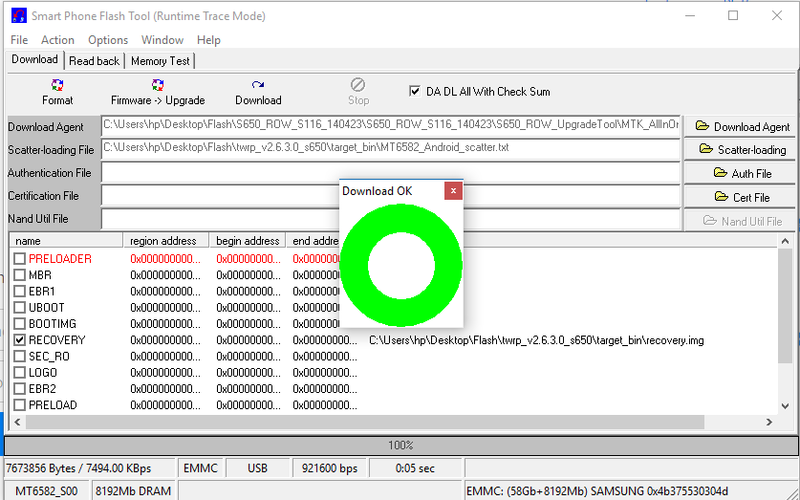 Go to Options > Option >Make sure Download with DA DL All with Checksum is checked already. Click on Scatter-Loading button and browse it to TWRP v2.6.30 ROW(OR CN) from the extracted folder and select target_bin/MT6582_Android_scatter.txt this will automatically load the custom recovery image to your flash tool. Press Download button, flash tool will become stand by and will be ready to connect your device. Turn off your device and remove the battery, when you are ready, connect your device to your pc, the flash tool will recognize your device and it’ll begin the flashing process. The process will take 10-20 second to finish, when you see a GREEN CIRCLE in the middle of flash tool. 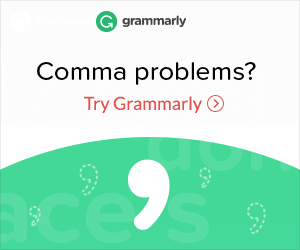 This indicates that you’ve successfully flashed the recovery. Now you’re done with installing custom recovery on your Lenovo S650, now we need to root it. Now boot your device into Recovery Mode.Follow these steps- press and hold Power Button + Volume Down + Volume Up button, release it until you can see TWRP main menu. *If you don’t see TWRP main menu then you’re in a great problem. In the TWRP main menu, select Install > Select Zip to Install. Select SuperSU.zip that is already in your external SD Card ↦ Swipe to install, wait the process until it finishes and go back to main menu again select Reboot. Boot to your phone, you’ll see SuperSU app,start it for the first time. Install the SuperSU.zip if it asks to. 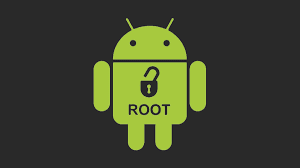 Congratulations, You have successfully rooted your Lenovo S650.